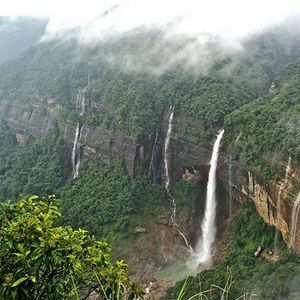 Love Rain, Waterfalls and Rainbows...then you can not shy away from Meghalaya - The Abode of Cloud. A breathtaking trajectory of craggy cliffs, dense tropical forest, rumbling waterfalls and meandering lakes. Get your dose of adrenaline and prove again that age is no bar in adventure - join a leisure tour mixed with adventure activities like cave walking and hiking to living root bridge, on a tour specially crafted for young at hearts ! •6 Nights stay in 3.5*/3* category hotels on double sharing basis. If you prefer single sharing room, contact us for supplemental cost. Twin sharing not available in all hotels. •6 Breakfast, 5 Lunch and 6 Dinner(Veg/Non-veg Indian) as per the tour plan. •1 ltr bottle of mineral water per day during the tour. •All Transfers and Sightseeing by Tempo Traveler. •Pick up/drop from Guwahati Airport with Group. 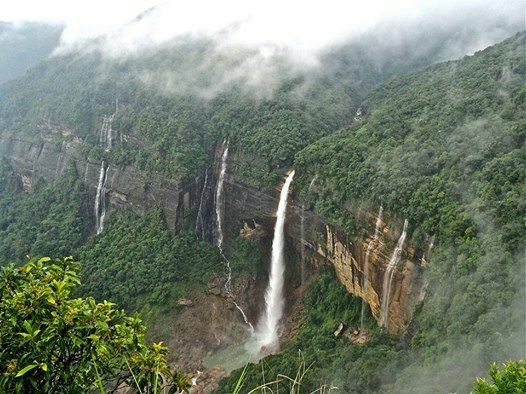 •Guided Trekking to Living root bridge and Mawsmai cave. •Services of a 50+ Voyagers Tour Manager, experienced in taking care of 50+ aged elderly. •GST payable to Govt of India. Call 7406577905 / 8095767595 / 9620032333 for inquiry and booking.